IN 2007, PRE-CRISIS, BANK balance sheets were large and supported client flows both on the long and short side. On one hand, dealers had large cash inflows from mutual funds, asset managers and banks (to whom they supplied collateral). On the other hand, they were buying (reversing) inventory (collateral) from hedge funds, lenders and their own large proprietary trading desks. Dealers were willing to make prices to retain current business and to take on new business. They played the role of a true intermediary, buying collateral at a high price from one side of the market and selling it to the other side of the market at a lower price. Make no mistake, dealers played a very valuable role. They provided two primary services that allowed them to effectively operate in that environment: credit intermediation and term market intermediation. As a credit intermediary, a brokerdealer will stand between two counterparties that would likely not be able to deal with one another. For example, cash providers—securities lending cash reinvestment desks, mutual funds, pension funds—typically cannot get credit limits with the other side of a dealer’s trade—accounts that need cash, namely hedge funds, REITs and other similar firms. As a result, dealers step in the middle of those two counterparties and in that way play the role of a credit intermediary. As a term market intermediary, dealers will provide all of their counterparties the desired term of the transaction that their client needs. For example, in most cases, cash providers wanted to keep their investments very short, with the majority of cash investor trades termed overnight out to one week. However, dealers often had terms of a month or longer with other counterparties. Hedge funds, REITs and other counterparts need longerterm funding mandatory from dealers, if they want the business. So dealers effectively took the mismatched risk between overnight and term dates to make prices for both sides of the market—a very valuable role indeed. In the run up to 2008, dealer balance sheets ballooned. Clients were investing in riskier assets, because dealers issued inventory and supplied the balance sheet to fund these purchases. It has been argued that this behavior, which in part became known as the shadow banking market, was a factor that precipitated the crisis. THE GLOBAL REPO MARKETS have seen enormous change in the last decade, not only in structure but also in volume. 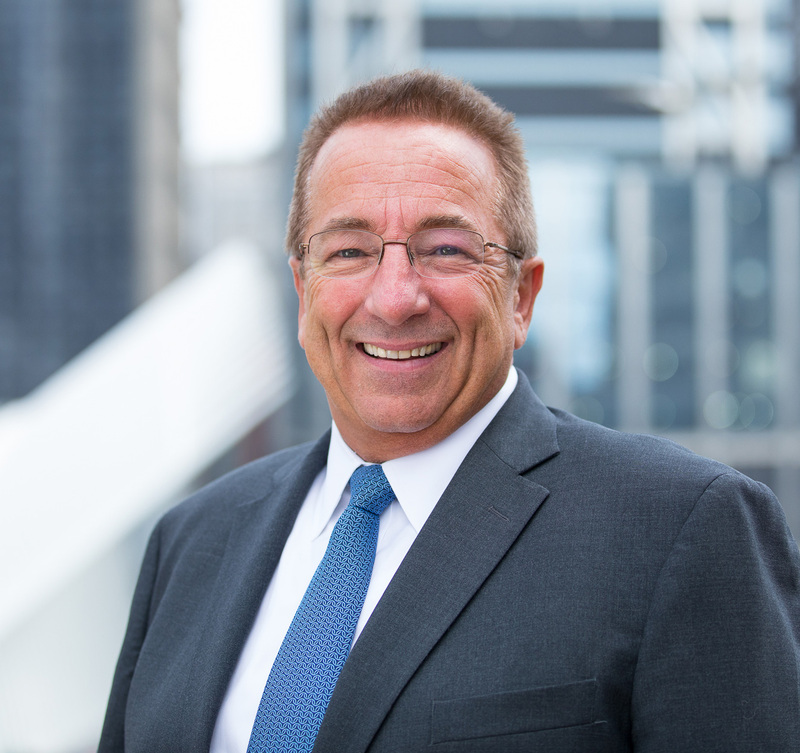 This has had a considerable impact on the U.S. dealer community. 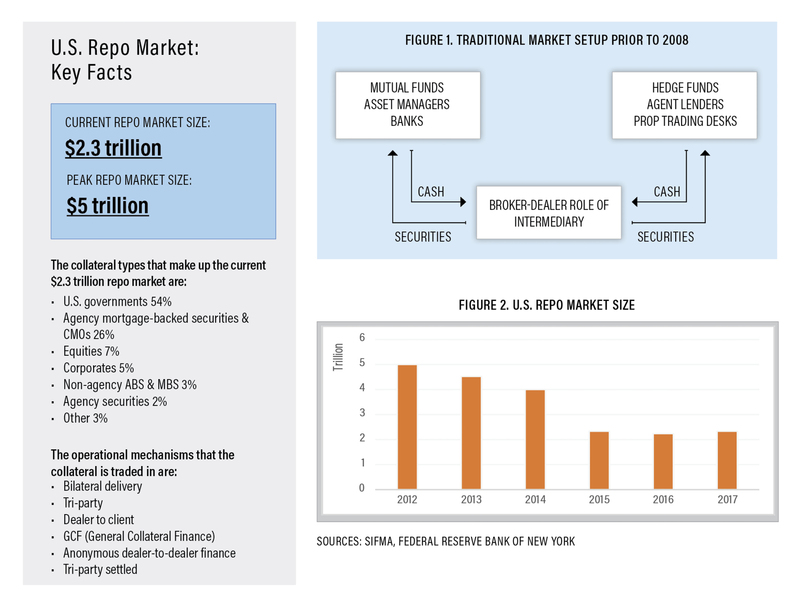 Figure 2 on the next page highlights the shrinking repo market over the last five years. Bear in mind, the total volume of fixed income securities issued and outstanding has not substantially changed in the past decade. What caused the shift? The decline is due in part to a market program that took securities out of the traditional repo market: the Federal Reserve’s Quantitative Easing Program, a massive expansion of the Fed’s open market program. The Quantitative Easing Program involves the central bank buying massive amounts of securities from its member banks, thereby adding extraordinary amounts of money into the economy. Where did the money come from? Basically, from thin air. The Federal Reserve simply printed money to stimulate the economy. The Fed added $2.1 trillion to the economy from the end of 2008 through 2014. In a nutshell, that explains away $2.1 trillion in securities missing from the repo market—the Fed took them out of circulation through Quantitative Easing. What happened to the money that had been funding those securities pre-crisis? The Federal Reserve Bank had an existing program to accept bank deposits. Traditionally, the rate paid on those deposits was well below market rates, and the facility had been looked at as a last resort prior to 2008. However, to avoid a market imbalance, the Fed changed the rate paid on those reserves to a much more competitive rate. As a result, from the end of 2012, balances in this facility grew extraordinarily, and currently sit at $2.1 trillion while paying a rate of 1.75% (as of March 2018), according to Bloomberg data. Another mechanism that pulled money out of the traditional repo market was the Fed’s Reverse Repo Program. Originally established as temporary, the program has become a recognized market facility that does not appear to be leaving the market any time soon. While this program has had less of a detrimental impact on the traditional repo market—balances hit $450 billion at their peak, and more recently have stood at between $25 billion and $75 billion daily—it is still a considerable chunk of change redirected out of the traditional repo market. WHILE dealers continue to play a crucial role in the market, they have had to shift their business models to survive—and indeed thrive—in this post-crisis era, particularly amidst a shrinking repo market. Reacting to the disruption in the repo market, dealers have had to pare down the counterparts they deal with and “reprice” the business they transact to reflect the new regulations, the ballooning cost of balance sheet and the encroachment of the Fed programs. The new model seems to be working. Anecdotally, many dealers have seen substantial increases in P/L in recent years, which shows that once the house cleaning was done following the crisis, they were able to put on profitable trades with the clients that they remained willing to deal with.